Biochar is simply charcoal that is used for particular purposes, mainly as a soil amendment. 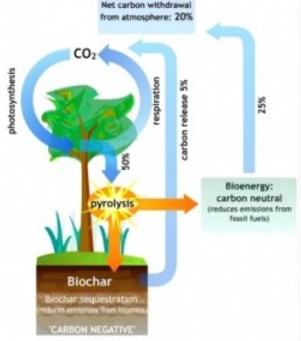 Biochar helps increase soil fertility by its carbon elements. It can endure in soil for thousands of years. It is helpful for plants that require an elevated pH to grow properly. This concept has been recently re-introduced to the market as an effective tree care option.